Prior to the municipal election in Yerevan scheduled for May 5, almost all prominent political forces in the Armenian political field have submitted their lists of candidates or, if not the full lists, at least the top positions. Among the political parties only Heritage has not yet submitted its list, but party spokesman Hovsep Khurshudyan stated today during a press-conference at Liberty Square (where the party leader is on hunger strike disputing the recent presidential election results), that they will hand-in all the required documents to the Central Election Commission (CEC) on Thursday and in the evening the same day will make the list public. As of this moment the CEC website does not have the lists, but the deadline for submitting the documents expires on March 21, 6 p.m. 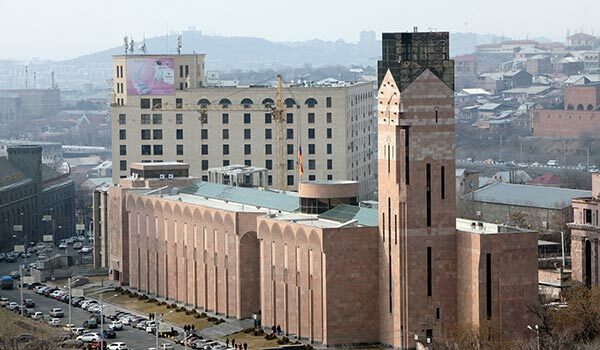 The city council of Yerevan has 65 members, who elect the mayor, and is elected for a four-year term. The opposition once again has failed to take part in the municipal election with a single list, despite the suggestion of the Armenian National Congress (ANC). Negotiations among the Heritage, Armenian Revolutionary Dashnakstutyun (ARF) and Prosperous Armenia (PAP) parties proved ineffective. Presently the PAP list is led by MP Vartan Oskanian, ANC’s choice is economist Vahagn Khachatryan, former Yerevan mayor between 1992-96; the Dashnaks have entrusted MP Armen Rustamyan to lead their list. Coalitional Orinats Yerkir’s list is topped by emergency situations minister Armen Yeritsyan, and the ruling Republicans are fostering current mayor Taron Margaryan for the second term. ANC faction leader Levon Zurabyan said that despite the failure to agree over a single list, PAP, ANC, ARF and Heritage can unite their efforts to control the election processes and prevent fraud. It becomes obvious that PAP has submitted a rather substantial claim in the election of Yerevan city council. During the negotiation for the single list, PAP insisted that Vartan Oskanian should lead it and the key positions should also be held by PAP members. In his press conference Sargsyan did not spare words of highest praise to the current mayor of Yerevan and stressed that their list has an advantage over the others’. “We have unanimously decided to nominate Taron Margaryan for the mayor’s position, and as opposed to the other political forces who might have decided the leaders of their lists, but have not yet decided who should be the mayor of Yerevan. I mean, Yerevan residents have to vote for that list not knowing who will be the one to take care of their daily-life issues. Is it an advantage for us, or not? I believe it is. And we have many more such advantages. Hence, I am certain that the majority of Yerevan residents will give their votes to Taron Margaryan,” said the president, hinting also at the fact that neither Oskanian, nor Rustamyan would be likely to give up their parliamentary mandates for the mayor’s chair.